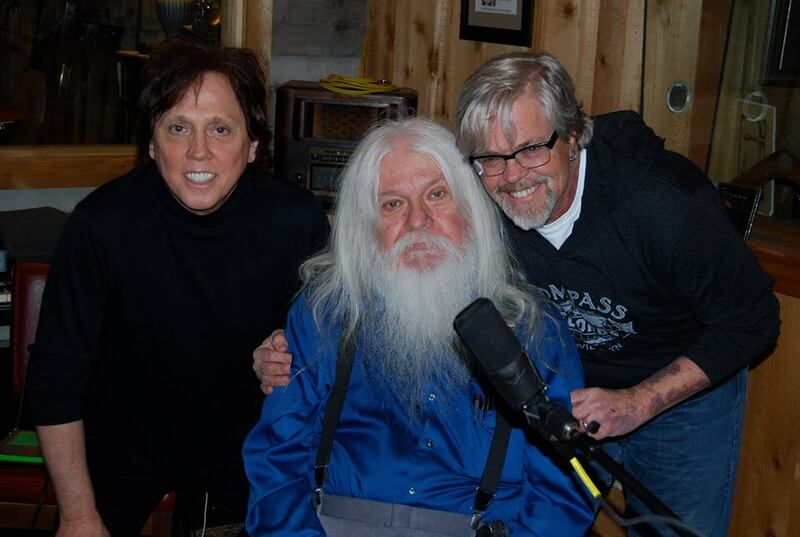 Leon Russell was a pilgrim in every sense of the word. At age 17 he literally did get on a Greyhound bus in Oklahoma and headed to Los Angeles—his own pilgrimage to the Promised Land. So many of Leon’s song lyrics over the years have been imbued with the proposition and observance of our humanness in a spiritual world. It would be a disservice to a man I love so much to presume to state what I think his spiritual beliefs are. There are, however, many clues in his own lyrics. “Stranger in a Strange Land” in verse 3 says, “And the baby looks around him, and shares his bed of hay, with the burrow in the palace of the King.” “One More Love Song” says, “I’m down on my knees, put my problems in God’s hands, give me strength to carry on, and the heart to understand.” “Prince of Peace” tell us “Never treat a brother like a passing stranger, always try to keep the love light burning.” In the bridge of “A Song For You,” Leon humbly sings, “You taught me precious secrets, of the truth withholding nothing, you came out in front and I was hiding. But now I’m so much better, and if my words don’t come together, listen to the melody cause my love is in there hiding.” Finally, in “Jesus Will Take Me Home,” Leon roars, “In the darkest hour, of the blackest night, something’s wrong and nothing’s right. And the hurt’s so strong, and the night’s so long, I hear the silence everywhere. But Jesus will take me home, Jesus will take me home.” Leon’s long journey on this earth is done. The pilgrim is finally home. I can tell you on a personal level that as a boss, a friend, and a mentor, Leon was kind, respectful, encouraging, humorous, and of course, very much human. There will be much said and written about the effect Leon has had—musically, culturally, socially, and spiritually—and all of it will be undeniably real. Leon’s gigantic lion-heart will be what always resonates in my own after all these years of listening, learning, and sharing with him. I would like to publicly thank Jan for holding that beautiful pilgrim’s heart of Leon’s in devotion, unflinchingly and tenderly, for giving it wings to fly and a safe place to land.